Coming Up – Taste Washington! 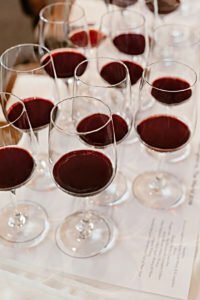 The 21st annual Taste Washington is March 22-25 in Seattle — the country’s largest single-region wine and food extravaganza. We go every year and always look forward to the explosion of tastes, fun and education during the four-day event. Taste Washington is celebrating its 21st anniversary with an all-new Sunday brunch to kick off the last day of the country’s largest single-region wine and food extravaganza, March 22-25 in Seattle. Brunch will be held at Quality Athletics, the hot, full-service sports bar and restaurant in Seattle’s Pioneer Square. “This music-food mash up includes Executive Chef and founder of Huxley Wallace Collective Josh Henderson, Quality Athletics’ Chef Daniel Cox, and Seattle-based singer/songwriter Kris Orlowski.” Tickets to brunch are $75 and include two featured beverages – Grey Goose Bloody Mary and St-Germain cocktail.